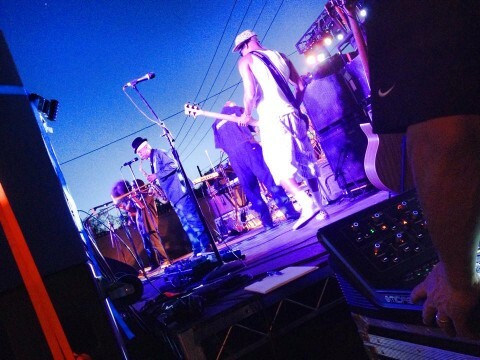 FishboneLive.org is a community effort to spread the word that Fishbone is more than ever the baddest band in the world. 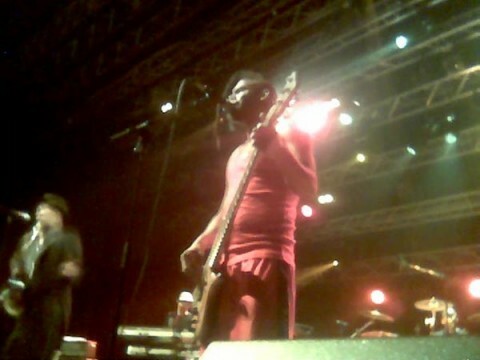 I initially wanted to simply share on the web the archive of Fishbone concert memories i had gathered over the years, but it quickly became the monster it is now... Since its launch in May 2004, 4850 familyhood members have signed up and shared their Fishbone live experiences with the unaware. If you try, you will catch on ! This site is built from media contribution from its members. All media contributions (images, audio, video, text,...) are copyright of their respective copyright holder. The site artwork is an original concept by Arturo Bandini for Utopie Pirate adapted by Denis Dubuisson. All the rest (concept, design, programming, architecture,...) is © 2003-2008 by Denis Dubuisson. FishboneLive.org strives to respect and acknowledge the rights of the copyrights holders. However, due to the collaborative and archive nature of the site, it is not always possible to track down the copyright holders of each contributed media. If you see on this site a media for which you own the copyright and would like it to be credited or removed, please contact the webmaster, the wrongs will be righted immediately. Leeching is adding a media from a site to another site by simply linking it. This is at best considered to be a rude practice because besides stealing someone else's work, it also steals the bandwidth. For copyright reasons, hotlinking to media on FishboneLive.org from another site (besides the banner) will not work. Please contact the copyright holder of the media before copying it and using it on your own site. Special thanks to Arturo Bandini for the Artwork and to long time Fishbone soldier and friend Arno who kindly provided diskspace, processor time and bandwitdth from his own personal data center in the heart of Amsterdam between 2004 and 2006.